Where do you want your business to be a year from now? I won’t ask if you did as well this past year as you had hoped to — most have not. 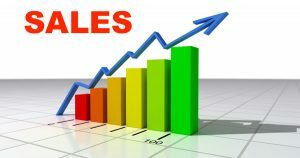 How much of an increase do you want your business to realize in customer count, leads, sales, income, in the coming year? Businesses are finding the current market difficult for producing significant growth. Most “marketing” companies are focused on convincing you that you just need to get to the top of the Google search mountain to find some sort of nirvana, using their super-ninja SEO tricks, we take a different approach, one you may find refreshing. With more of a holistic approach to making sales Power of Presence Marketing can help you to not only achieve your sales goals, but to surpass them. Anyone who has been in business very long knows that the old ways of procuring customers simply do not work as effectively as they used to. When was the last time you used a phone book to find a product or service you needed? Today’s potential clients are increasingly using the Internet to locate, get acquainted with, and develop a relationship with, those businesses that will meet their needs. The business that effectively utilizes the online sales strategies provided by this new and ever changing technological environment is the one that will experience growth in the coming years. To be sure, these days the Internet is an integral part of an overall sales strategy, but to neglect the other aspects of how you do business is a deadly mistake. Power of Presence Marketing marries proven sales strategies with modern technologies to get beyond the “marketing” of your business, and right into the “selling” of your product or service. First, a successful business must have a quality product, or service, something a buyer would find value in; and they must be able to convincingly convey the superiority of that which they have to offer to potential customers. Secondly, the target market must be researched and properly defined, unless you simply want to spend the majority of your advertising budget reaching out to uninterested parties. Thirdly, it is important to use all available technologies to mate the product or service to real buyers, using an irresistible offer developed from strategic sales techniques. Then, using the good will developed in making the initial sale, and social marketing technologies, it is important to cultivate a sense of community with your buyers, so you can sell more to them, almost at will. 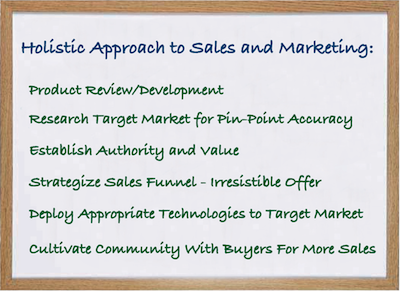 This, in essence, is what we call the holistic approach to sales and marketing. One of the most fundamental truths of business is that until someone has purchased something, actually exchanged an asset for a given product or service, then there is no established value. Only when a sale has been finalized is genuine value established. At Power of Presence Marketing we understand that we are not simply “marketers,” though we do provide marketing services; more importantly, our job is to assist our clients in making actual sales. Our goal is to deliver an irresistible offer for a quality product or service to rightly targeted buyers, at the right time, in such a way, and utilizing cutting-edge technologies, that a transaction may be realized. Most business owners simply do not have the waking hours to dedicate to learning, and mastering, the constantly fluctuating techniques of modern sales and marketing. Power of Presence Marketing is your source, allowing you to do whatever it is you do best, and to pursue those things you have a passion for. Our business is helping businesses to harness the infinite potential of modern technology, while also improving upon the old-fashioned methods of growing your bottom line. Most of our clients discover that they already have tremendous potential to increase sales. Just by tapping into existing resources you have, right now, you can increase cash flow instantly. Power of Presence Marketing can help you to unlock this potential today. Call today, or use our contact form, to find out how we can help you develop a simple, yet effective plan to reach your sales goals. LinkedIn Training, and Consultation – The superhighway for business professionals to network, and increase sales. 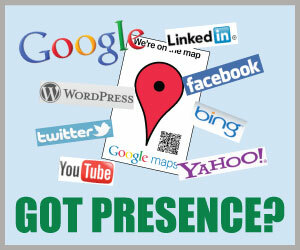 Contact Power of Presence Marketing today to find out how we can help grow your business.